The Contour Core Sculpting System – Guaranteed to give you the best abs you’ve ever had! It is FDA cleared for tightening, toning and strengthening healthy muscles. Contour Abs is safe and effective when used as directed. It stimulates core muscles directly, while also working upper & lower abs, obliques and lower belly area at the same time. Contour Abs brings together modern digital technology and the science of physiology created by Swiss medical professionals. Use Contour Abs anytime and anywhere! *Offer Details: With your order, you can try the Contour Core Sculpting System for 30 days for only $14.95! 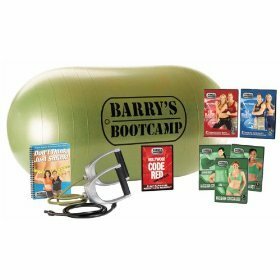 Your shipment will include the Contour Core Belt, M2 Controller, 4 AAA Batteries, 4 Electrodes (Contour Gel Pads), Use and Care Manual, Diet and Exercise Guide, Instructional DVD, 1 year warranty, and Travel/Storage Clutch. If you wish to keep the System upon completion of your 30-day trial period (which begins the day you receive the Contour Core Sculpting System) your credit card will be charged 4 easy monthly payments of just $49.95 a month. If you are not completely satisfied with your Contour Core Sculpting System after using it for a full 30 days, simply return it undamaged and you won’t be charged another dime! Maximum trial of one per household per 24 hour period.